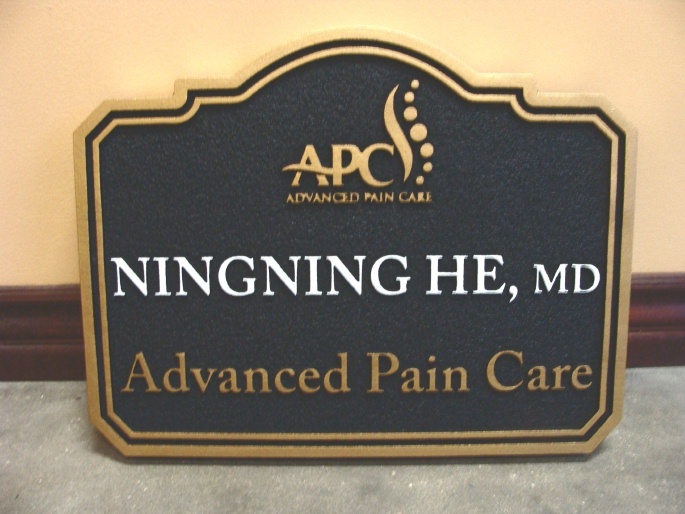 This t formal carved HDU sign was made for an Advanced Pain Care practice . The text , border and flourish are raised and the background is sandblasted with a sandstone texture. The sign is clear-coated twice for additional UV and moisture protection.